When you travel around as much as The Doctor does, it's easy to lose track of little things like checking up on your house. So when he stops in on Earth to search a little place he kept back when he was younger but looked older, he is surprised (but not displeased) to find a young artist named Josie Day squatting in his house. This - and the book he came to find - are quickly put aside, however, as The Doctor discovers two things - Josie has visions of the many monsters he has fought in the past and the paintings she's made of said monsters are coming to life! This is the first comic since Titan Comics took over the Doctor Who license to center upon a Classic Series Doctor. The Eighth Doctor is - paradoxically - both the longest-serving incarnation of the character and yet one of the least solidly defined. He had only one television appearance and numerous books, comics and radio plays, whose place in canon is debatable. Thankfully, George Mann ignores all that baggage, saying only that The Doctor is recently returned to Earth after a long period of traveling alone and focusing on the one aspect of the Eighth Doctor that is solidly confirmed - his personality being that of a Romantic. Mann has experience writing The Doctor across multiple media and that experience is in evidence throughout this issue. Josie Day is established as a spirited and likable young woman and her going for a ride on the TARDIS at the issue's end is all but assured even before she saves the day. 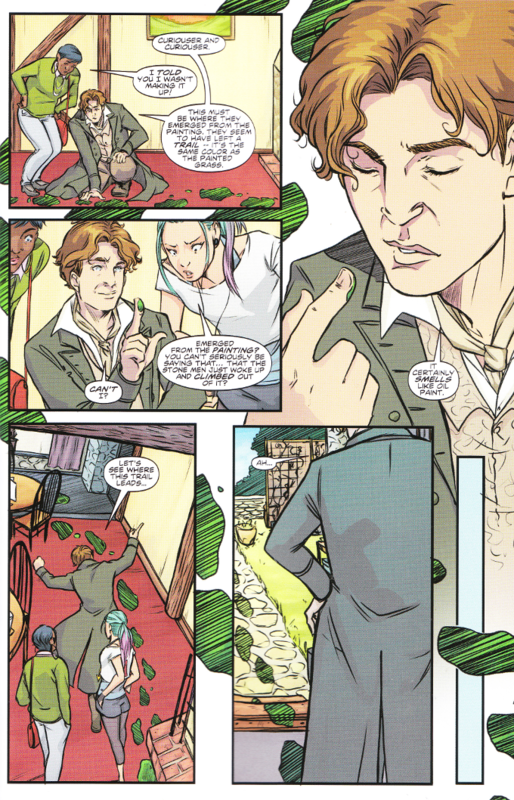 The artwork by Emma Vieceli and Hi-Fi is a perfect match for the bright and cheerful spirit of The Eighth Doctor. The colors by Hi-Fi are vibrant and Vieceli's style shows influences of both traditional Western comics and Shojo manga. The only real fault with the artwork is that the word balloons are oddly placed at times and it becomes tricky, at these points, to know who is speaking first. 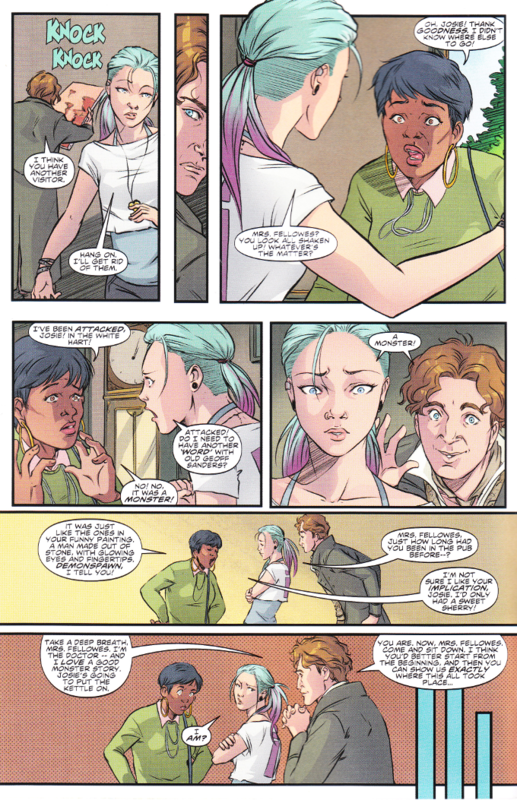 Despite that hiccup, this is a great comic and a must read for all Doctor Who fans.